Google Maps now “let you drag your start or end point to preview your various options for most efficient itinerary. Imagine that you’re on a business trip to New York City, and you’ll stay at Chelsea Hotel. 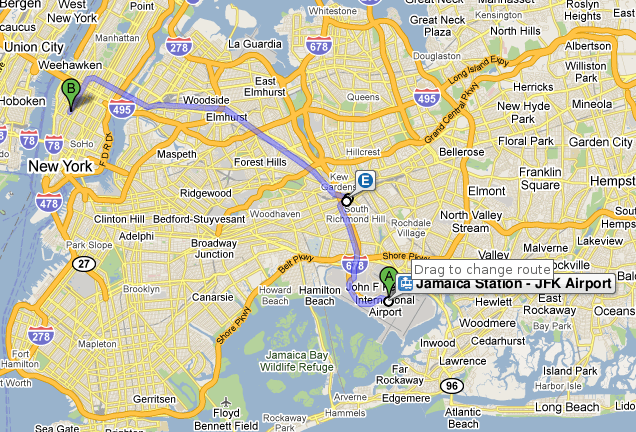 You start planning your trip by searching for directions form JFK airport to Chelsea Hotel. Then you realize that you can also take a flight to Newark, and you want to figure out which’s more convenient for getting to your hotel. Now it’s as easy as picking up marker at JFK (you’ll see instructions ”Drag to change route” when you hover over marker)..and drop it over Newark Airport. 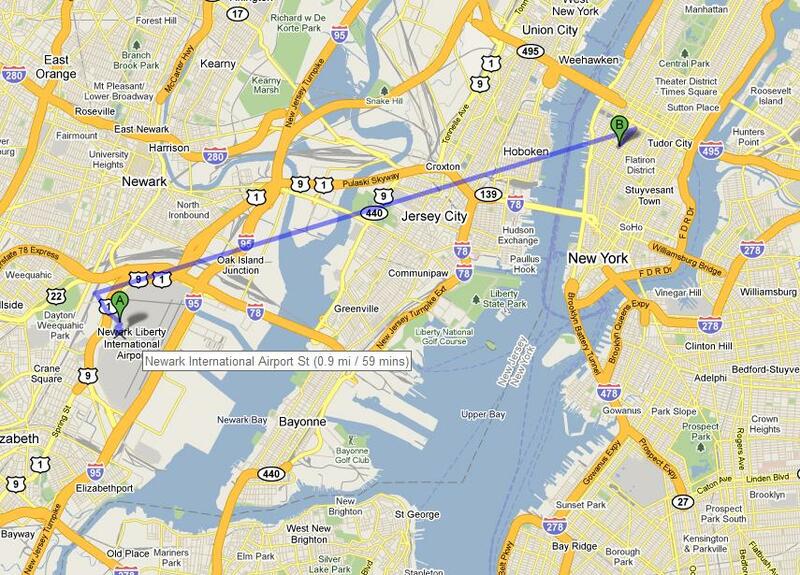 As you drag marker, we‘ll calculate new trip automatically in background and show a tooltip with time of new trip. When you drop marker back onto the map at your desired starting or ending point, you’ll see left panel update with your new step-by-step transit directions,” explain Google.